How Long Is Adderall in Your Urine? How Long Does It Take for Adderall to Get Out Of Your System? Adderall and Adderall XR are the brand names produced by Shire Pharmaceuticals to treat attention deficit hyperactivity disorder (ADHD) in both children and adults. 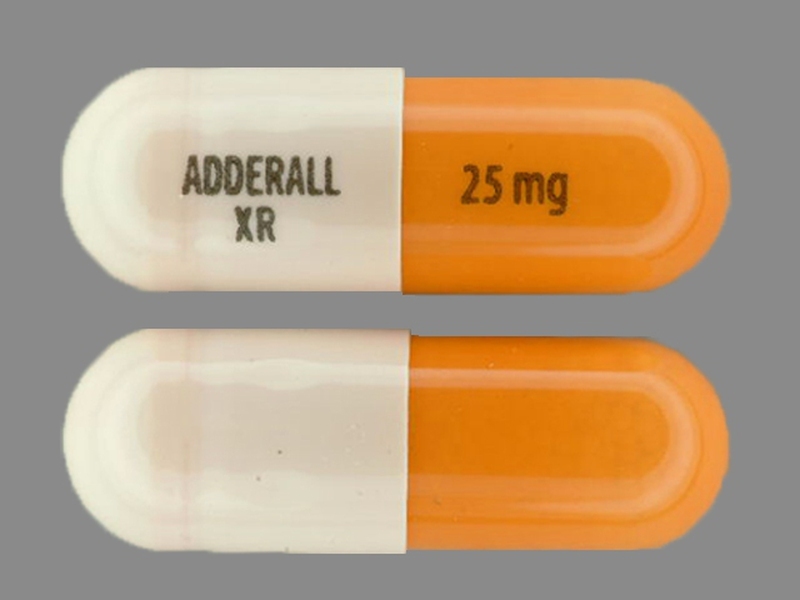 Adderall is a combination of two stimulants, dextroamphetamine and amphetamine. Stimulants increase both alertness and attention, hence a growing number of people without ADHD, especially high school and college students, have been using Adderall for off label uses, to increase their ability to focus and think. Although the widespread idea that such use will enhance one’s ability is false, Adderall will only be effective in those with ADHD. Since Adderall is an amphetamine, the length of time it is detectable in your urine will depend upon the type you are using and the frequency of your use. If you are taking Adderall instant-release, it will stay in your body for approximately 35 hours. This does vary due to individual body type and habits. Using Adderall XR (extended-release) will cause it to stay in your system for approximately 60 hours. On average, all amphetamines will clear your system in about 72 hours. This does depend on what type of testing is being performed. Saliva test: Also known as oral fluid drug testing. Saliva can retain trace amounts of drugs and their ensuing metabolites from 24 to 36 hours. The detection time of Adderall may be as little as a few minutes to 3 days from consumption. Hair test: When a hair test is used, it will often require 1 ½ inches of hair growth from the person being tested. Growth is considered from the base of the scalp to 1 ½ inches of length. Detection of Adderall in the hair can be up to 90 days from last use. As hair grows on average at ½ inch per month, shorter hair has a better chance at a negative test. Blood test: A blood test, the most accurate test for Adderall, has the shortest time span for detection – only 12 hours. A blood test can also distinguish the difference between levo-amphetamines and dextro-amphetamines; this determines if the person is taking a mixture of amphetamine salts, such as Adderall, or a single-salt dextro-amphetamine such as Vyvanse. This form of testing will also indicate if this is normal prescribed use or if it is abuse. I passed my drug test for Adderall even though I had taken 7 - 25mg tablets only 2 days before the test. I drank a lot of water and had to work out excessively. My company did a urinalysis on me for Adderall, I failed even though it had been more than 72 hours since I last took it. I had been taking 2 - 20mg tablets a day. I knew I was going to have a drug test more than 4 days before it happened. So I gave myself 72 hours to clean out. My clinic uses the highest quality tests and test for everything. Good news; I passed. I take Adderall 30 mg tablets 2 times a day every day. I had to take a urine test and it showed amphetamines in my system. The time it takes for Adderall to completely get out of your system will depend on what type you are taking as well as your age. Both Adderall IR and XR contain the same exact ingredients; the only difference is how quickly they are released in the body. Body weight will dictate clearance from the body and children have the fastest clearance time. D-amphetamine has a mean half-life and will vary by age and weight, hence in children (6-12) about 9 hours; adolescents (13-17) weighing less than or equal to 165lbs/75kg approximately 11 hours; adults approximately 10 hrs. Pharmacists in general consider after 3-5 half-lives, about 90% of the drug is cleared from your system and no longer has an effect. Hence it takes 3-5 days for Adderall to get out of the system. If these symptoms occur, call your doctor right away. Misusing or abuse of Adderall may cause serious or even fatal blood pressure and heart problems. Only use them as directed. If Adderall is used over a long time frame dependency can occur, if dependency occurs you could suffer withdrawal when stopping.